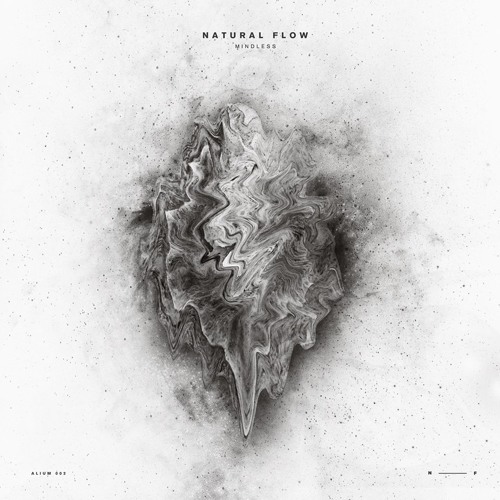 The second release on Alium finds label bosses Natural Flow returning for a brand new EP. The duos first offering ‘The Void’ launched the label in style earning support from Tale Of Us, Mind Against, Hunter Game, Fur Coat, Shall Ocin, Agents Of Time, Gardens Of God and Locked Groove. Now following a remix for Guy Mantzur’s Plattenbank Records Natural Flow returns with the 4 track ‘Visions/Mindless EP’ alongside a remix from Hush and Sleep. The release begins with the deep and intriguing ‘Visions’. The duos dynamic kicks and metallic designs immediately illuminate your mind while a trail of eerie effects develops a mystical storyboard. Refinement is the key and Natural Flow have it in spades with moments where granular synths and haunting pads steal the air on this unforgettable trip. Continuing with ‘Numb’ Natural Flow creates a more distinctive theme with aquatic keys guiding you on a wonderfully wonky journey. An evolving modular narrative captivates the mind while a uniquely tailored groove never loses sight of the dance floor. The lone interpretation of ‘Numb’ is provided by Hush & Sleep who are making their first appearance on Alium. Frankie Decicco & Tom Tonnard hail from the Netherlands and make up the Hush & Sleep production duo. Appearances on Ardor and Click Records made for a groundbreaking 2015. Recently hailed by Beatport as one of 2016’s artists to watch, Hush & Sleep now make their debut on Alium with a rousing interpretation of ‘Numb’. Anchored by a driving groove and waves of percussion it sits as a peak time complement to the more subversive original. A tension filled break is one of many highlights with a methodical build ending in a trail of sonic decay and electric re-entry. Meanwhile ‘Riding The Storm’ focuses on starker designs and offset rhythmic structures. Feathered hats build a mesmerizing cadence while a collage of hits tease the senses. Alien-like constructions, although indistinct build mystery to the already fascinating story, ultimately setting up the EP’s closer ‘Mindless’. An unassuming first act builds anticipation with fragmented motifs slowly sculpted the creative journey. A maze of processed pianos and clustered keys dominates the second act providing a musically inspired conclusion to the EP. An excellent follow up to ‘Void’ from Natural Flow along with a cutting edge interpretation from Hush & Sleep. Don’t miss it.